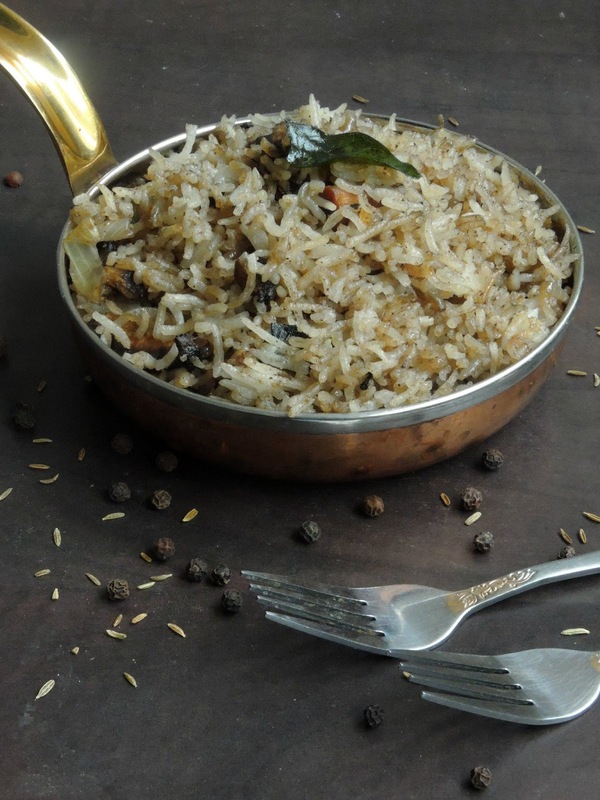 Sevai is nothing its just rice vermicelli which is quite popular in Tamilnadu. 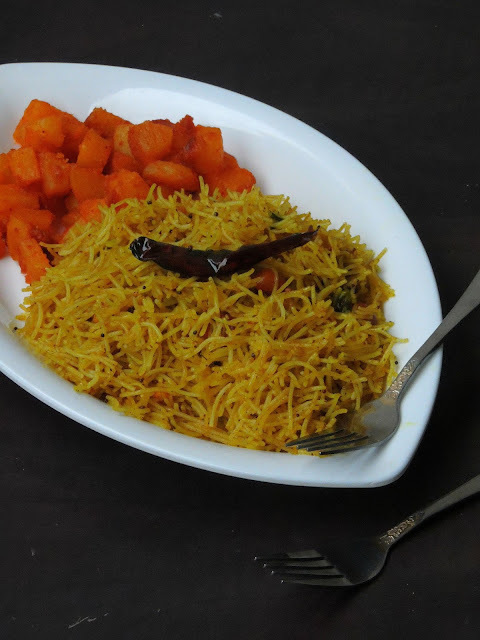 Though this vermicelli can be prepared easily with rice flour at home, store bought sevai are easily available to dish out some fabulous easy breezy dishes with it. Store bought sevai are seriously very handy as you can prepare dishes either for your breakfast or your dinner. I have already cooked couple of dishes with different vegetables and ingredients. However i love both lemon sevai and tamarind sevai very much. They are just prefect to pack in anyone's lunch box especially in a kid's lunch box. Yes if you have homemade tamarind paste in in fridge or instant tamarind rice powder, trust me this dish gets quickly than you can imagine..
Have you ever prepared paratha with tofu, if not you should give a try them. 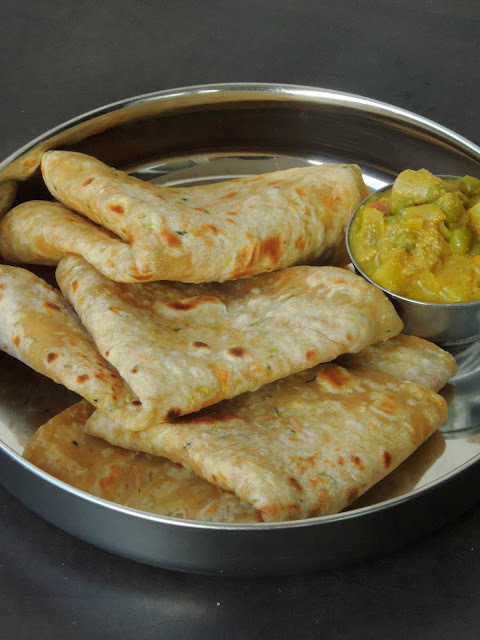 Tofu gives a fabulous softness to the paratha and its stays prefectly soft even to pack in a kid's lunch box. I have been cooking with tofu since a long. Earlier i was bit skeptical to use this soya cheese as its was quite an unknown ingredient for me. However i have learned myself to cook with this incredible tofu and now its quite our favourite cheese which i never fail to cook with. I can easily get this soya cheese as am living in China town. Obviously tofu have its own place in my weekly cooking. Tofu exists in three varieties, silken tofu is used often in vegan desserts, firm tofu and extra firm tofu for making dishes out of it. Preparing a lunch box everyday is definitely a tough task to every mom, thank god that i never had such hassles in my life till now. Apart from packing foods for my better half i never had a chance to pack foods for my kids. However i will be posting some easy breezy,lunch box friendly dishes for this week's blogging marathon. My theme for this week's blogging marathon is Kid's delight - Lunch box in 30 minutes. And all my three dishes for this week's theme are going to be some simple dishes you can pack very well in your kid's lunch box as well. And am kick starting this week's theme with an easy breezy pepper flavored mushroom rice which calls for simple ingredients. Its been a while i blogged about a non vegetarian dish in this space, and this poached egg curry is our family favourite. With usual ingredients and flavored with coconut milk, this poached egg curry is definitely a fingerlicking dish. One can have this curry with a bowl of rice or with some rotis. This poached egg curry can be an excellent party friendly dish if you are planning for a Non vegetarian menu plan for your get together. 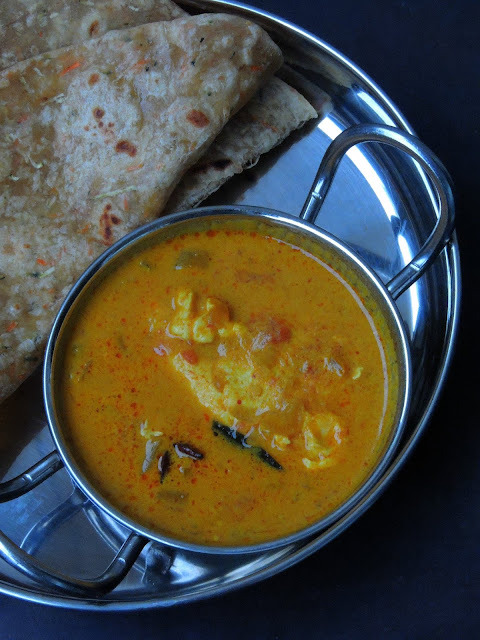 Very easy and simple to make, this curry makes a prefect pair to serve with mildly spiced pulaos, variety rices or else simply with any sort of Indian flatbreads. I just love this curry with hot steaming rice and i usually call this curry as 2 in 1. Yes this curry doesnt need any side dish to serve with.